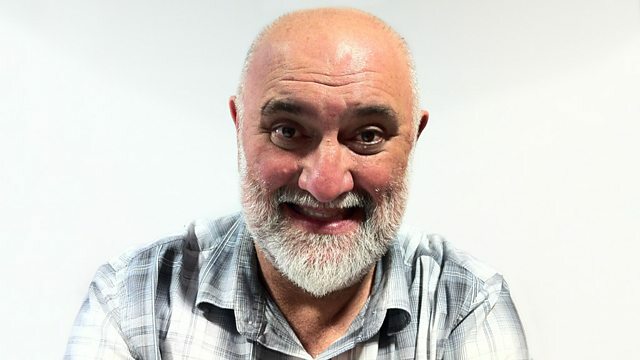 Kirsty Lang talks to Alexei Sayle about his return to stand-up after 16 years, Vanessa-Mae on swapping her violin for skis, and 500 word plays at the Traverse Theatre, Edinburgh. Alexei Sayle, often described as the godfather of alternative comedy, is returning to solo stand-up shows after a break of more than 16 years. Sayle, who was known throughout the 1980s for his politically charged rants, reflects on the reasons for his stage come-back, and gives his views on the current generation of comedians. Anna Maxwell Martin, Tamzin Outhwaite and Gina McKee star in Di And Viv And Rose, a play written by Amelia Bullmore, well-known to TV audiences for her own roles in Twenty Twelve and Scott and Bailey. The play examines the relationship between three women, from a university house-share in 1983 to the traumas of middle age. Novelist Naomi Alderman reviews. Violinist Vanessa-Mae is taking a year's sabbatical from performing, in order to try to qualify as a skier in the Thai Winter Olympics team. She explains her motives and talks about why she's prepared to risk - through possible injury - her musical career. The Traverse Theatre in Edinburgh celebrates its 50th birthday this year. It's marking the occasion with a competition for new playwrights, to write a play in just 500 words. The theatre is now staging the 50 winning entries. Two of the writers discuss the challenge of writing such a short drama and playwright Zinne Harris, one of the judges, considers how to make an impact with a script only one page long.